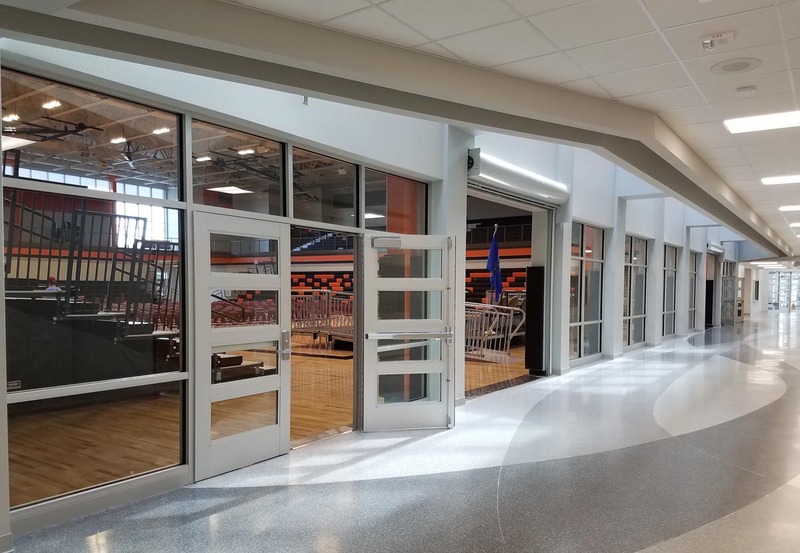 When it comes to utilizing a storefront system on your project, Manko has a wide variety of options to choose from, including our non-thermal 1450 system. This system has been a staple in the marketplace for a number of years, providing projects a quality, cost effective system that can meet non-thermal framing needs. The 1450’s face and depth profile fit the typical center glazed 2” x 4 1/2” storefront mold. 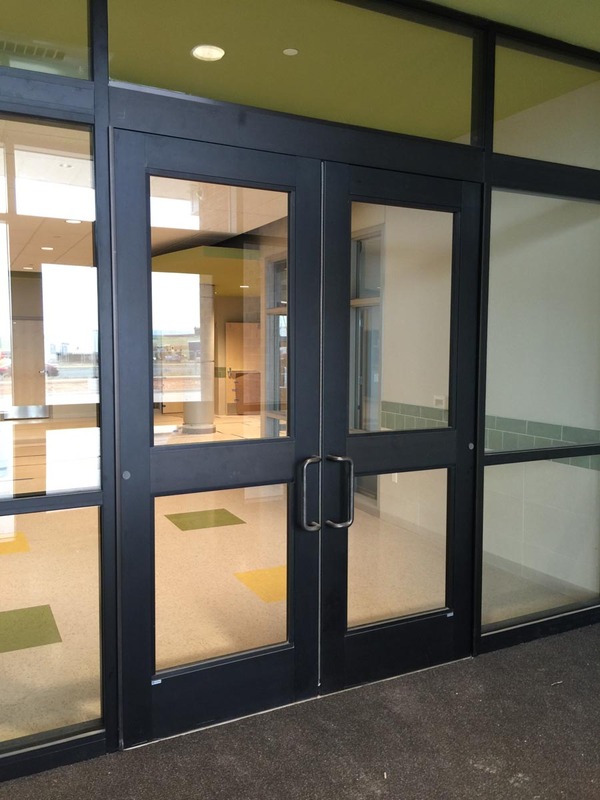 With the system’s non-thermal design, the 1450 is typically utilized in interior applications where a 2” sightline is preferred and/or where insulated glazing is desired for sound reduction. The 1450 is limited in its exterior uses however, typically seen only where u-value and condensation resistance numbers are not of importance, please refer to Manko’s windload charts for structural capabilities. 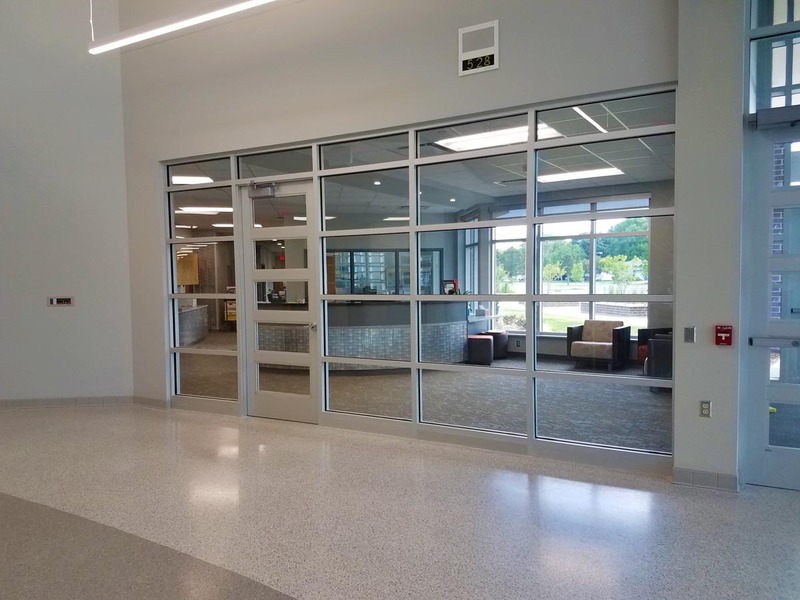 Look no further, Manko’s 1450 storefront system can be a quality addition to your next project.